Around 18 months ago, Professor William S. Neilson, Editor-in-Chief of the Journal of Economic Behavior & Organization, shared his story on how he uses Scopus, almost daily, to support him in his editorial work. We revisit this topic to examine in more detail two areas where Scopus can help you as an editor. What do you do if someone submits a paper in a niche area but it is still within the (broad) scope of your journal? You may have some basic knowledge on the topic but are not necessarily an expert. This is where Scopus can help. Here are some steps you can follow to determine if the paper is worth sending for review. 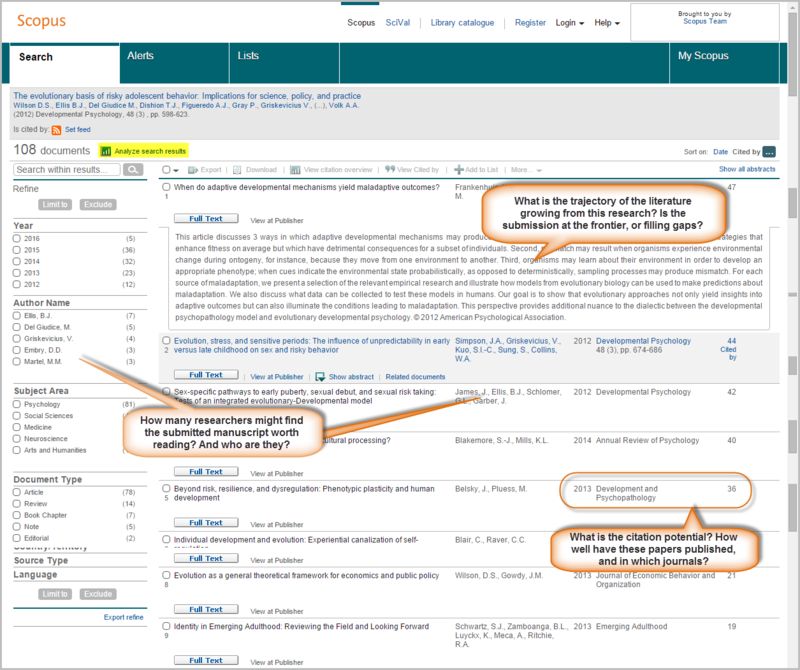 Scopus, Elsevier’s abstract and citation database of peer-reviewed literature, offers an easy to use interface with the ability to dive deep into citation behavior. With information updated daily from over 21,500 journals and 113,000 books, Scopus is a valuable and time saving resource freely available to editors. What is the readership potential for the topic the submission covers? Look at the number of distinct authors citing the reference article. What is the citation potential? Look at how well the listed papers have published measured by citation number. Is the manuscript at the frontier, or is it filling in gaps in the literature? Use the ‘Show abstract’ feature to read through the abstracts (or go to the publisher’s page for the articles) and look for similarities between already-published papers and the submitted manuscript. This can also help you uncover potential plagiarism. 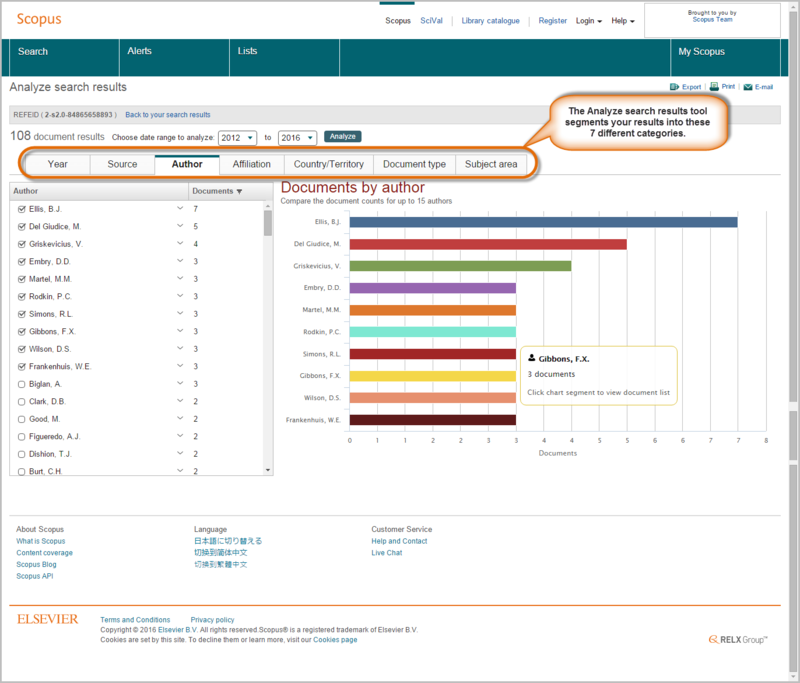 An additional Scopus feature that gives you even more insight is the <Analyze search results> tool. From your search results, click on the ‘Analyze search results’ link (see highlighted link in the example above). The analysis shows you the number of documents in your search results broken down by year, source title, author, affiliation, country/territory, document type and subject area. When it comes to finding potential reviewers, Scopus can help there too. Following the same steps above— isolating a 3-5 year old reference article and following its citation history in Scopus—leads you to similar and recently published research, which in turn leads you to authors who are familiar with the topic covered in the submitted manuscript. Using the <Analyze search results> tool gives you a quick overview of authors publishing in the same space or, in other words, a pool of potential reviewers. 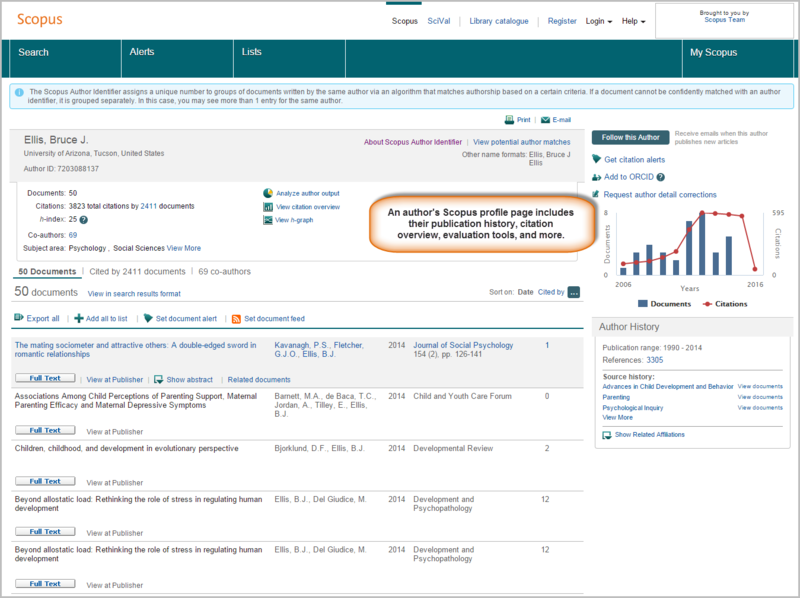 Click on an author’s name to link to their Scopus author profile page. Here you can take a deeper look into their publishing history, research impact and citation behavior. These are just two of the ways you can use Scopus as an editor. There are many other features and tools to explore. For example, you can compare journal performance looking at metrics such as SJR, SNIP and Impact per paper; dive into article-level metrics to see how a particular article is being shared and talked about; and use APIs to integrate Scopus data into your own website and applications. Learn more about the metrics included in Scopus here. Any questions, feedback? Leave your comments below. 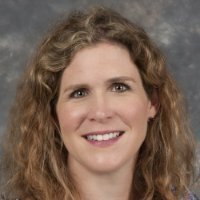 Susannah E. Beatty-Tucker has been with Elsevier for 16 years. She is currently part of the Scopus and Engineering Village communications team and her goal is to provide navigable information and practical advice on how they can support researchers in their work. In her first eight years she worked with editors, authors and reviewers as both a Journal Manager and a Team Manager for a portfolio of Life Science titles. In 2008, she took over the Elsevier TrainingDesk, an online training program offering videos and training materials for Scopus, ScienceDirect and Engineering Village.